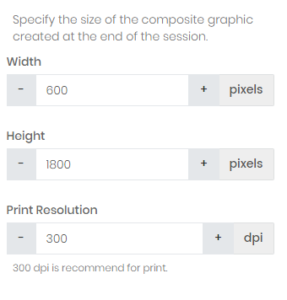 When printing strips with Mobibooth Cloud™ you will first define a 2 x 6 inch layout in the layout editor and then tell the Mobiprint server to always generate a pair from a single strip. Create a Photograph experience event. Set the orientation and camera mode making sure your graphic is creating accordingly. Once the event is created go to Edit Event > Edit Experience > Edit Layout. Upload your background and/or overlay graphics. Set your photo locations under advanced settings (saving each row after changes). 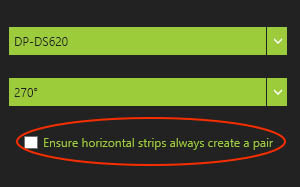 When you are ready to print start Mobiprint on your Windows device as you normally would (see Getting Started Printing) and make sure to check the “Ensure horizontal strips always create a pair” checkbox. That’s it, you are now ready to deliver the retro photo strip experience.